Suggestions for readalikes and watchalikes for fans of Welcome to Sanditon. Last week’s interview with Jay Bushman of The Lizzie Bennet Diaries and Welcome to Sanditon has left me looking for more Austen adaptations and other read- or watchalikes. Aside from the BBC’s 1995 Pride & Prejudice miniseries or Emma Thompson’s near-perfect Sense & Sensibility there are scores of Austen adaptations that either hew closely to the source material or range far afield. Helen Fielding’s Bridget Jones’s Diary, the film version of which stars Colin Firth, the only Mr. Darcy many BBC-loving Austenites will accept, as Mark Darcy, features the titular heroine navigating singleton life in London. I Have Found It, a Bollywood adaptation of Sense & Sensibility, is set in contemporary India. Serious elder sister Sowmya is in love with aspiring film director Manohar, and passionate younger sister Meenakshi falls for a poetry-loving businessman while a wounded solider admires her from afar. More complications arise when a relative dies, and they lose their place in the family home. 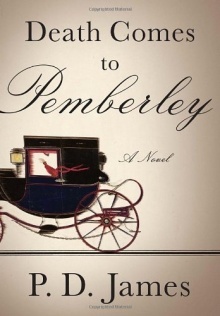 When the author of Children of Men and the Adam Dalgliesh mysteries sets a novel at Darcy’s estate, it’s inevitable that Death Comes to Pemberley. P.D. James kills off Wickham and, in the process, makes Austen’s world fully her own. Shannon Hale’s Austenland is a wink-y book about Austen fandom. 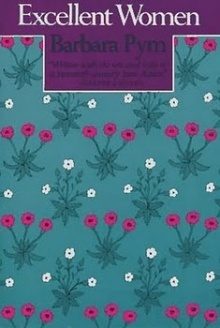 Jane Hayes’s preoccupation with the fictional Mr. Darcy has kept her from finding a real-life relationship, but when an elderly relation bequeaths her a trip to Pembroke Park, a British resort where visitors live like Austen characters, she finds herself in a novel-worthy love triangle. A movie version is coming out in August. The Jane Austen Handbook: A Sensible Yet Elegant Guide to Her World by Margaret C. Sullivan is a how-to guide for anyone curious about the delicate social negotiations of the Regency era, explaining the English class system, currency, dress, and the nuances of graceful living. Lark Rise to Candleford. This costume drama, set in the late 19th century, is an adaptation of Flora Thompson’s memoir of growing up in Oxfordshire. The series follows young Laura Timmins as she leaves the small village of Lark Rise and moves to Candleford, a nearby market town, where her cousin Dorcas Lane is postmistress. For those who respond to Austen’s strong heroines and family relationships. Barbara Pym’s Excellent Women. The narrator of this 1952 novel is a spinster in her 30s, Mildred Lathbury, who turns a gimlet eye on the social machinations of those around her. 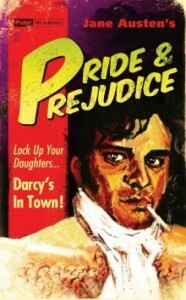 For readers who appreciate Austen’s observations of social and personal details. Agatha Christie’s ubiquitous mysteries may not seem like a natural fit with Jane Austen’s romantic classics, but Christie’s sweet, elderly Miss Marple has spent a lifetime bearing witness to the minutiae of life in the village of Saint Mary Mead. Sure, she uses her insight into people’s characteristic quirks and behavior to solve murders instead of fomenting marriages, but both authors are keen interpreters of village life and should appeal to readers for whom that is an interest. Start with The Murder at the Vicarage.